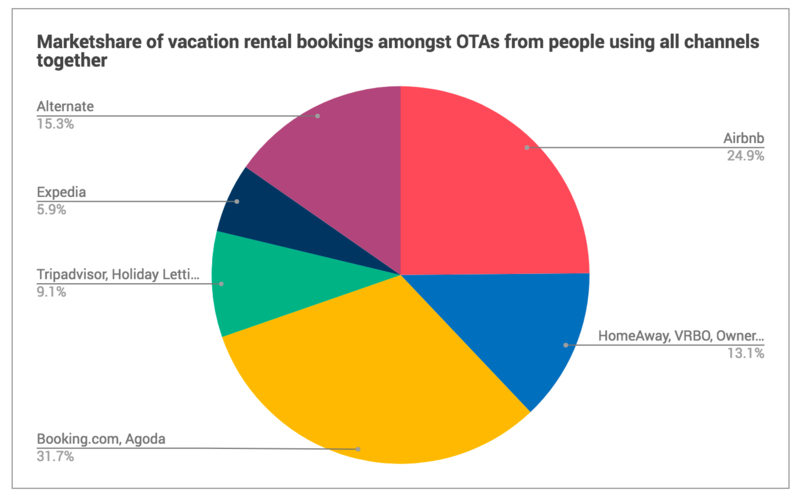 Thanks to everyone who participated in last weeks survey to determine the current state of distribution in the vacation rental industry. 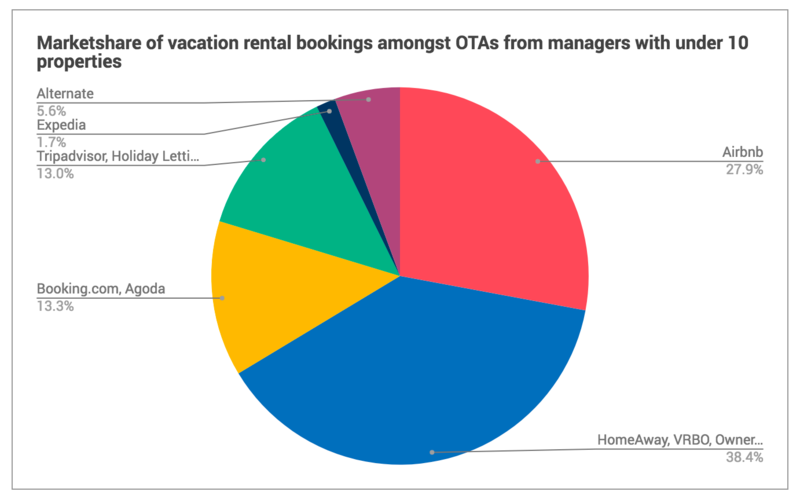 Below we look at the market share of popular online travel agents (OTAs) compared to direct & alternative sources. Here are the key takeaways and how it affects you. Figures were only estimates, submitted by selecting a range, not an exact number. The survey has a wide and evenly distributed range of participants from all around the world, with properties from 1 – 250+ per manager. 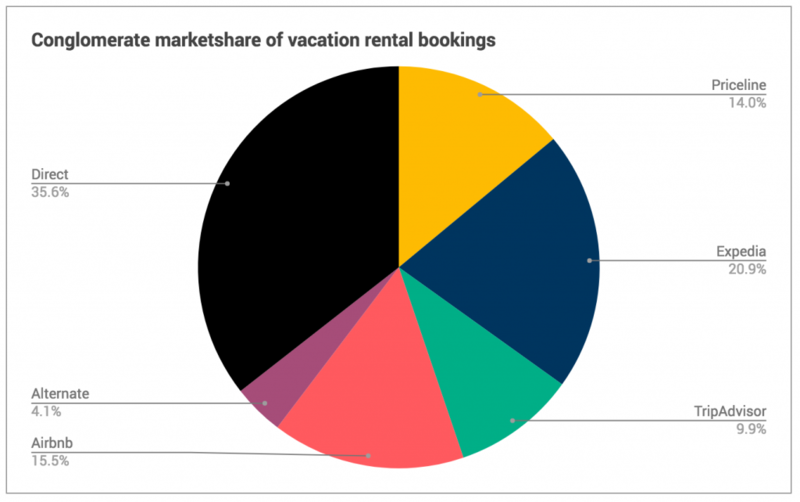 60.3% of ALL bookings are controlled by just 4 companies and with talks last year suggesting the potential acquisition of TripAdvisor by Priceline in the near future, this would become 3. 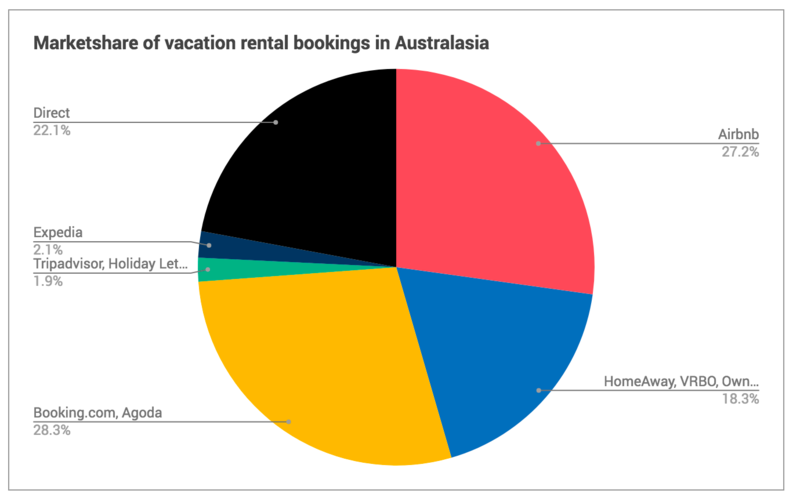 Ctrip was used by 9% of respondents but contributed for under 0.1% of bookings, which is why it doesn’t show. Ctrip is popular for Inter-Asia travel and therefore wasn’t represented well by our respondents. 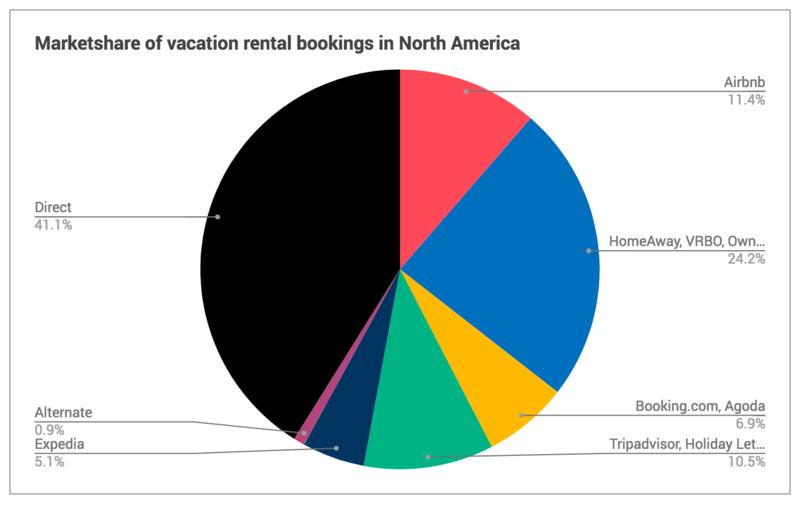 Booking.com has not penetrated the US market for vacation rentals yet, but TripAdvisor is performing nearly as well as Airbnb. 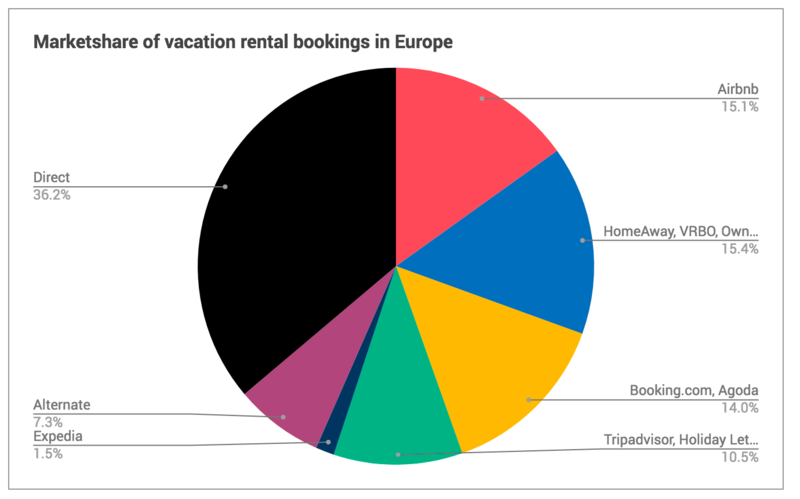 Booking.com, HomeAway & Airbnb are very equal with TripAdvisor just behind. 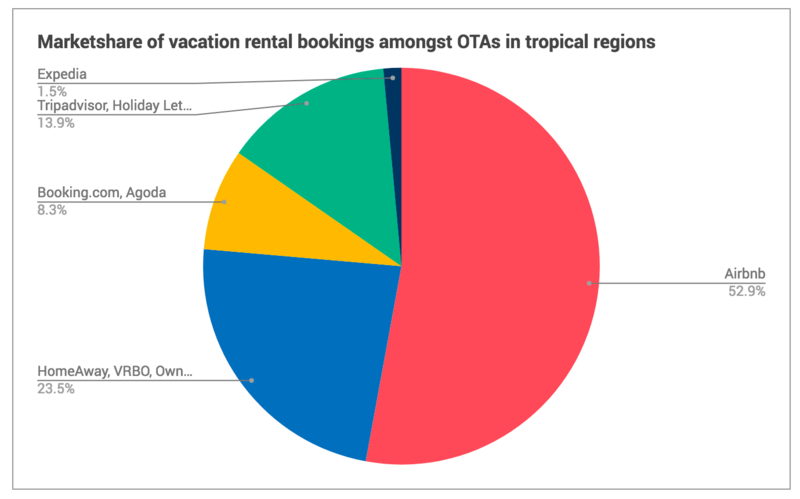 Tropical regions are dominated by Airbnb, who take a whopping 52.9% of all OTA bookings! 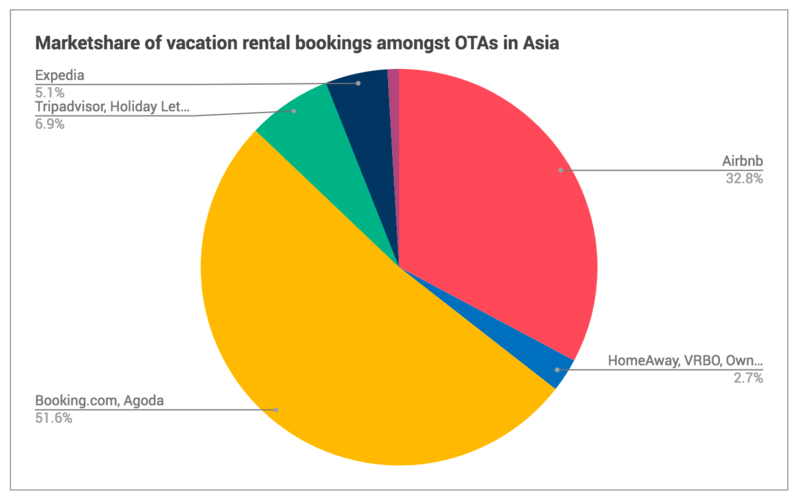 Asia (predominately South East Asia) is dominated by Priceline with 51.6% of all OTA bookings. 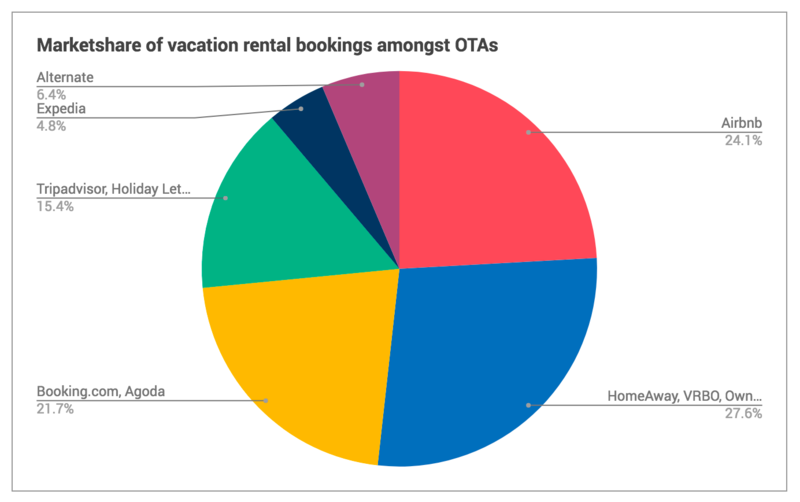 HomeAway and its sister sites take only a small fraction of OTA bookings with just 2.1%! 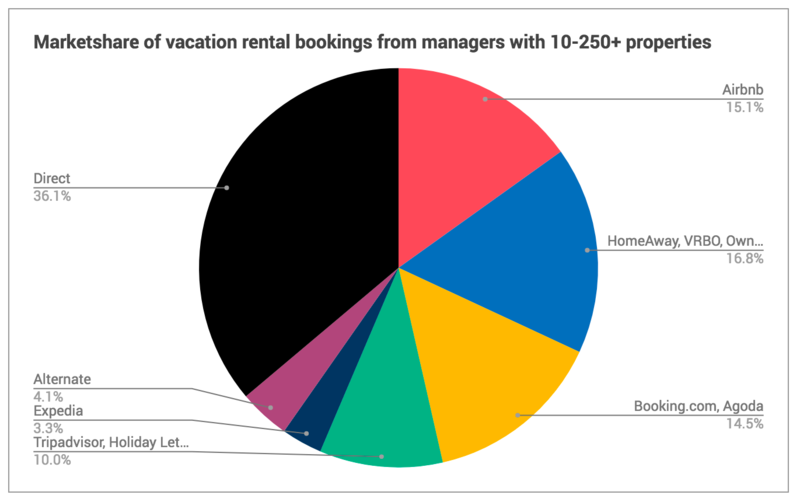 Owners & small managers have less direct bookings (30.3%) compared to larger managers (36.1%), probably because larger managers have websites with bigger marketing budgets. 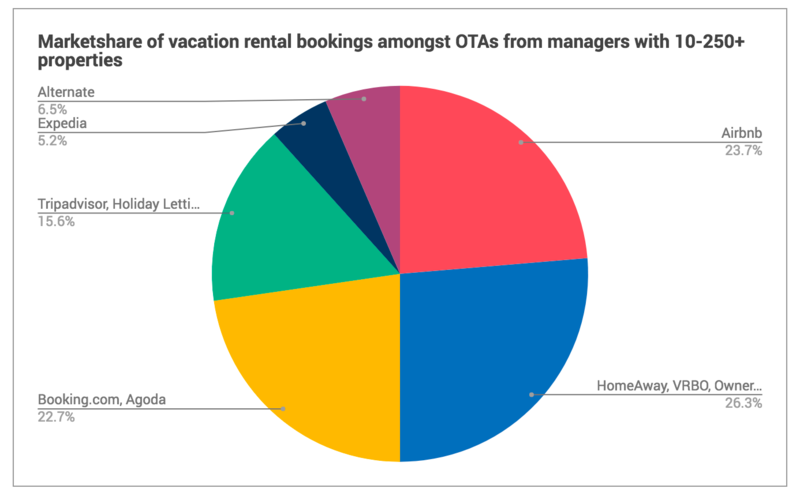 HomeAway & VRBO are far more dominant amongst smaller managers/owners with 38.4% of OTA bookings, compared to just 26.3% from larger managers. 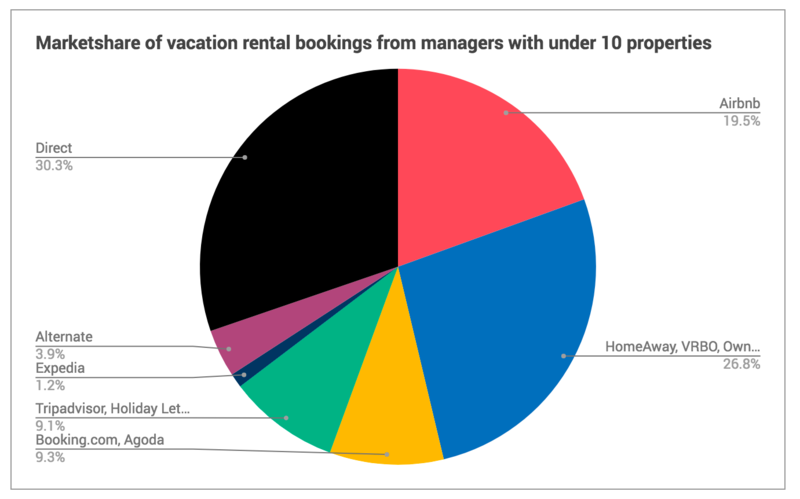 Bookings are more evenly distributed amongst larger managers, which suggests smaller owners/managers could benefit from using more channels. 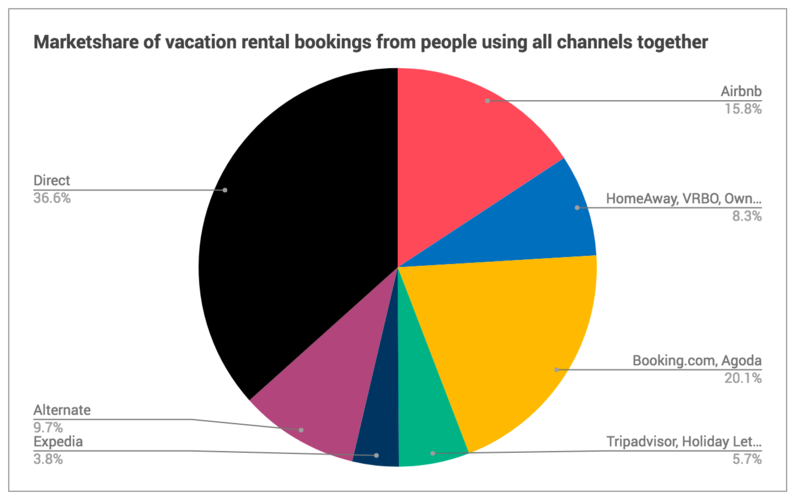 Taking data from only respondents using all channels together shows a surprising advantage to Booking.com/Agoda (31.7%) & Airbnb (24.9%), rather than HomeAway, VRBO, Expedia etc. With TripAdvisor being the second most used OTA, its share of bookings is small in comparison to competitors who were less used like Booking.com. 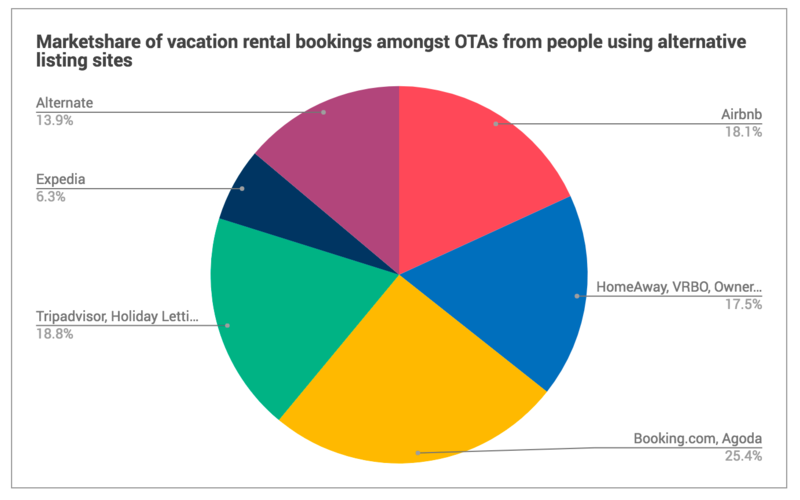 Of the respondents actually using alternative & niche listing sites, they saw nearly 9.8% of ALL bookings & 13.9% of all OTA bookings come from these sources, compared to the entire survey (4.1% of ALL bookings & 6.4% of OTA bookings). This suggests that respondents who are not using alternative listing sites could benefit greatly, especially from reduced fees and commissions for these bookings. 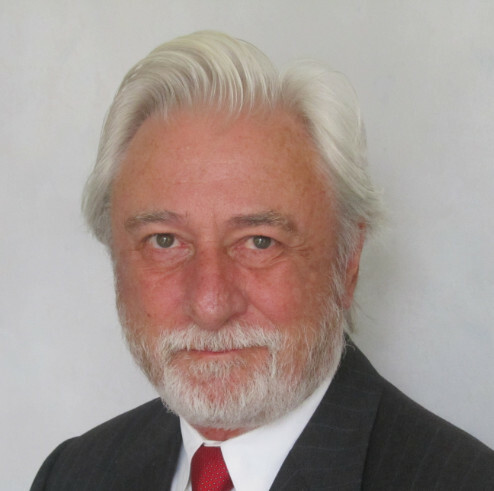 However, it’s important to use multiple sources that are relevant for your niche. 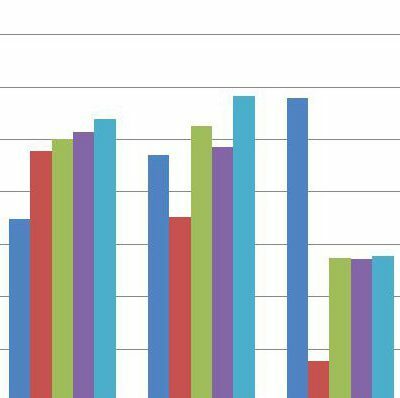 Although of the survey’s shortcomings, the results do correlate to what we’re internally seeing within the market. 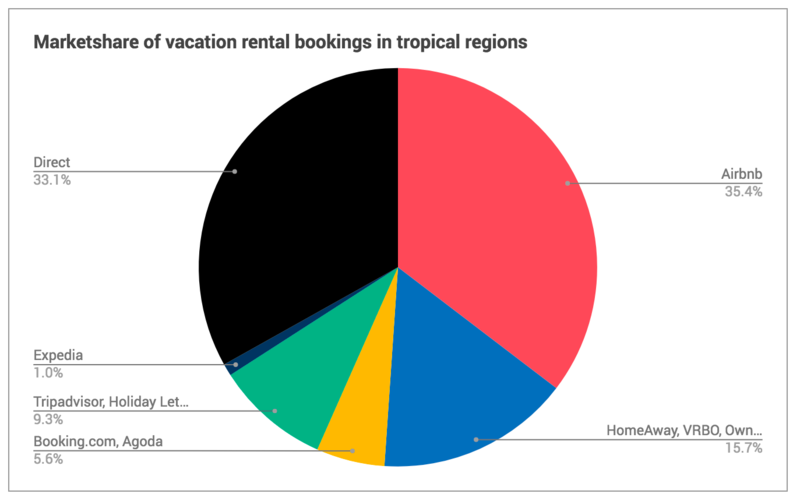 Airbnb is the most consistent online travel agent and works best with unique destinations & properties. 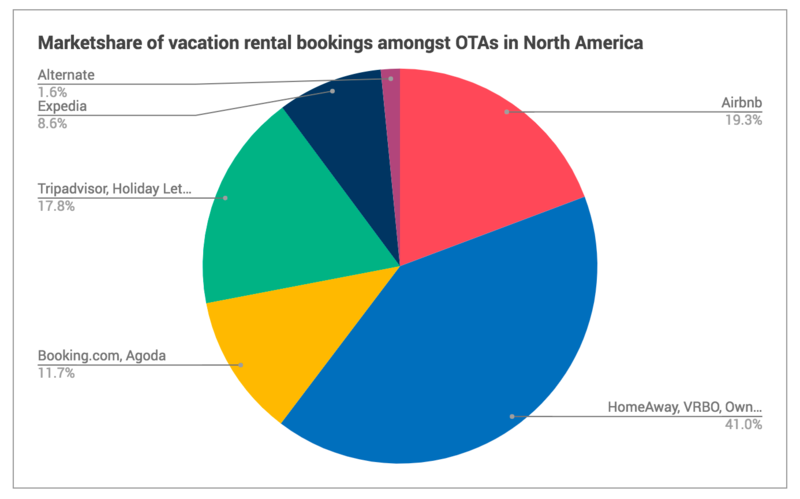 TripAdvisor is the second most popular OTA but brings a relatively small number of bookings. 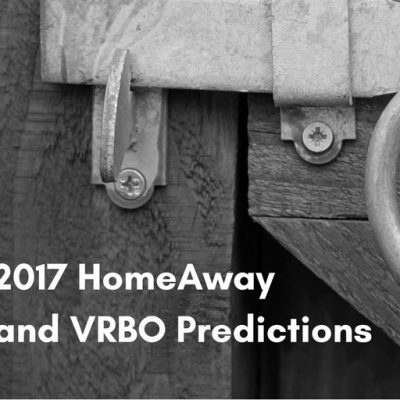 HomeAway & VRBO are strongest in North America but struggling in Asia, where Booking.com rules supreme. Europe is where the battle is currently raging, with every channel, including alternative booking sources providing a relatively distributed share. 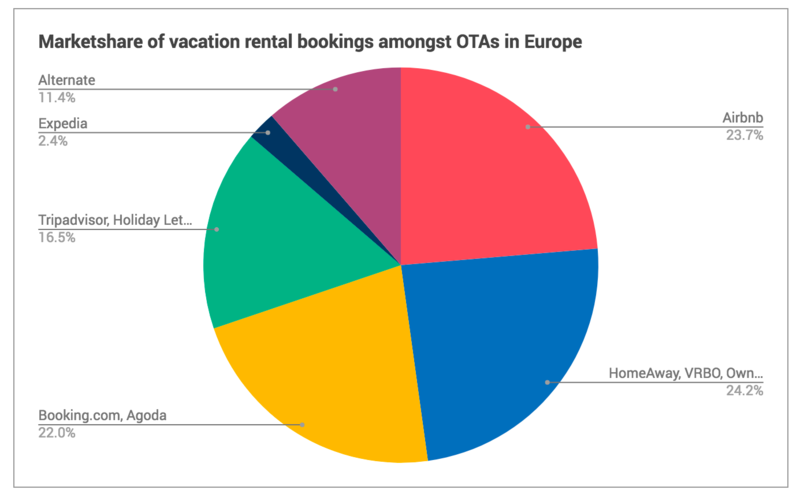 What’s worrying is the increasing dependency on OTAs, which is higher than the independent hotel industry. Furthermore, a high percentage of our subscribers already own websites. 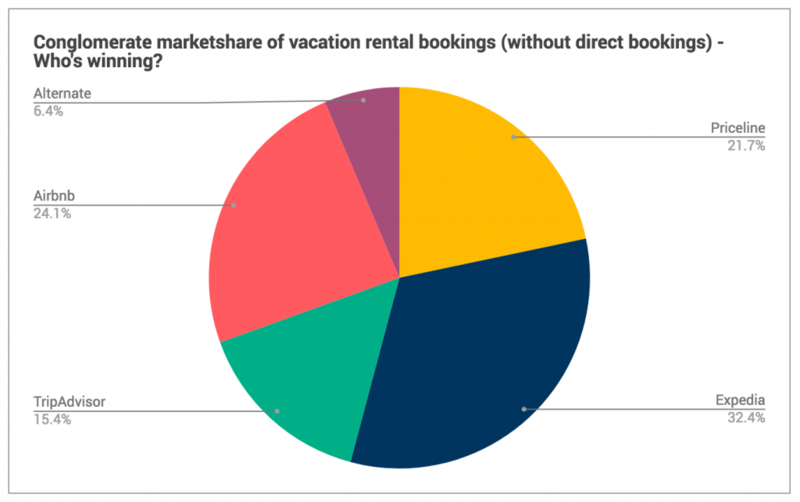 Therefore, if this survey was representative of the entire market, including newer short-term rentals, I imagine the dependency would be far greater! 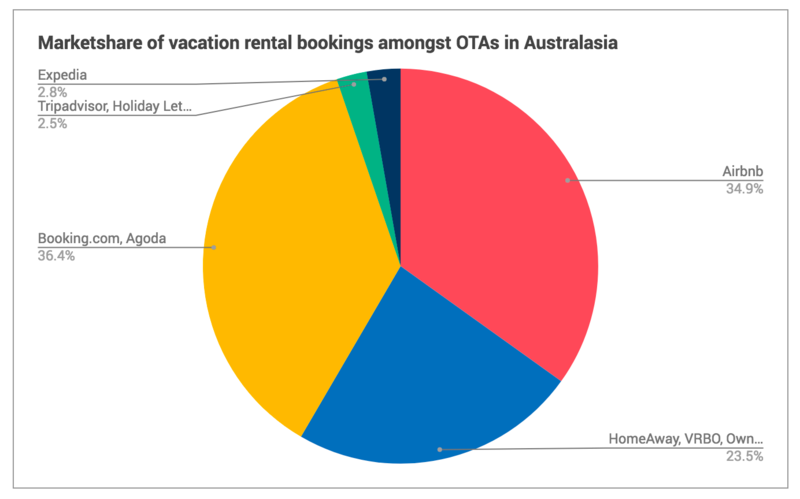 On the bright side, respondents utilising alternative booking sources are seeing some success which may continue to increase with the flurry of new listing sites filling niches that can’t be covered by larger OTAs.